ZIMBABWE – Donald Trump should have sought advice from Tony Blair or current prime Minister of the United Kingdom David William Donald Cameron before trying to score points for his Republican political campaign when he attacked dear comrade, African loved grandfather Robert Gabriel Mugabe. The Flamboyant American tycoon and Republican Presidential hopeful Donald Trump threatened to arrest and imprison Ugandan President Yoweri Museveni and his Zimbabwean counterpart Robert Mugabe, as expected fireworks have come from the Zimbabwean President who has made it a habit of insulting western leaders in the past who he blame for prolonging colonial habits and interfering in the internal affairs of Zimbabwe. Trump has insulted Mexicans, Muslims, women and even his opponents in the Republican without getting any fire coming back to him. However he does not know comrade Robert Gabriel Mugabe. He fought the brits from the Jungles and he has continued to fight them since chasing them out of Zimbabwe. “May I state here that that Trump will never take us anywhere because we Africans are the strongest and fearless in the universe? I wish everyone to Know that I have nothing to fear and I want to tell the world that that Hitler’s descendant (Trump) has taken after him and he is about to do his worst should the people of America make a mistake of electing him” Said President Mugabe. 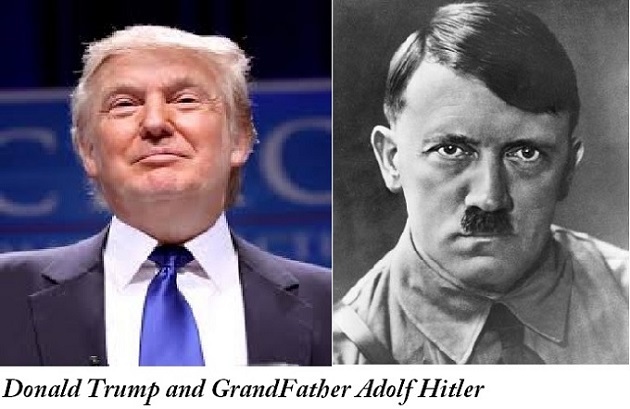 “Just like his grandfather Hitler caused World War II, and he wants to create World War III so as to leave behind a legacy but the world will not allow that. How do you even start imagining that you are going to arrest a man like myself? Is that Trump’s head okay? And, are there enough doctors in America to check this man’s psychiatric condition?” Added Mr. Mugabe furiously.